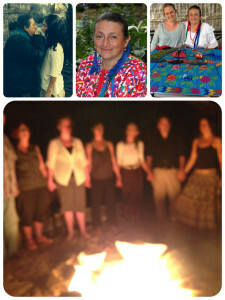 Mayan Ajq’ij (spiritual guide) Lina Barrios will be returning to Santa Fe with Denise Barrios in July to present an evening workshop series, give a free public talk, provide personal consultations and share a fire ceremony. 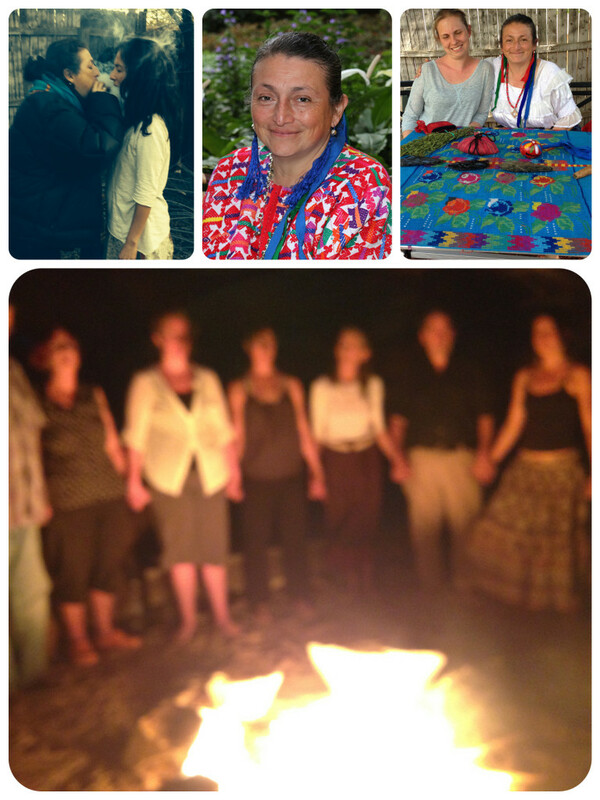 Our guests from the highlands of Guatemala will provide a primary level workshop for understanding and working with energies of the Cholq’ij to create balance and harmony. This is a rare opportunity to experience the teachings and practices of an ancient, living lineage directly, in a way that brings benefit for individuals, families and communities. Lina and Denise arrive in a spirit of generosity, grounded in the practicality of a tradition capable of fostering both personal development and deep, integrated alignment. During this workshop we will begin the process of healing ourselves by using the twenty energies (Ch’umil) of the Cholq’ij Calendar as our tool. The purpose of learning this healing technique is to begin the search that will allow us to find balance in our four planes of manifestation: physical, mental, emotional, and spiritual, in order to find the stability and inner peace that is necessary to accomplish our purpose of life and to open the path that will lead us to living in harmony with everything that surrounds us and with our own being so that we can find self-fulfillment. Each participant will work with a problem they are facing at this moment of life. Together we will learn to use the twenty cosmic and telluric energies of the Cholq’ij Calendar to overcome that specific problem. This workshop will teach participants how to use the Maya Calendar to face any future problems that may rise. Attendees of the workshop are invited to attend a fire ceremony the following day. Details, including location (in Santa Fe), to be shared at the workshop, $10 materials donation suggested. Maya culture, with 5,200 years of existence in Mesoamerica and with its close connection to Mother Earth, has accomplished different natural techniques of healing the body, mind, heart, and spirit. These techniques range from the use of plants and herbs, to minerals, steam, flowers, and fire, all combined with the energies of the Calendar of Life (Cholq’ij). Each of these healing techniques is practiced by a specialist. For example, the people who work with plants and herbs are called the Ajqayis, the people who work with the minerals are the Ajab’aj, with the steam the Ajtuj, with flowers the Aj Cotz’ij, and with fire the Ajk’at. During the talk we will speak about these techniques and others like healing with the flint knife, healing through sound and using chants and prayers to lift the spirit of a person who died in an accident. Lina is completely booked and we are not able to accommodate any more sessions this time. Lina Barrios will be available for consultations in person (at various Santa Fe locations). Please book an appointment early as openings are likely to fill up completely. The Sacred Maya Calendar has 20 energies which are complemented by 13 different numbers or levels. It is the combination of an energy with a number that gives us our personality. According to the Cholq’ij Calendar, each person, depending on their date of birth, has specific talents, strengths and weaknesses. By getting an interpretation of your Maya sign you will understand your energy and learn how to use it to its full potential. You may wish to bring a recording device or take notes during this session. In the Maya world divination is done with the seeds and stones of the Sacred Pouch. This form of divination is used to give us a guide and a specific answer to questions on situations that are affecting the person in order to help them make a better decision. This type of divination is probably the most ancient one that is still being used. By using the healing power of the obsidian stone one can heal illnesses or eliminate the negative burdens from our body, heart, spirit and soul in order to become lighter beings and to obtain a better quality of life. 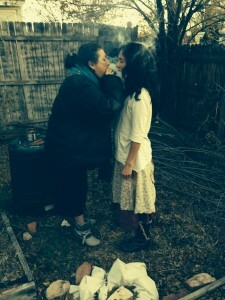 When using the obsidian stone together with tobacco smoke ―a plant that is considered sacred to many indigenous peoples from the Americas ― the energy of the person can be lifted and strengthened, developing a protective shield for when a person’s energy is weak so they become less energetically vulnerable to illnesses. In the Mayan world healings are often done with tobacco, sacred stones and/or oils with the intention of either healing the person completely or helping them feel relief, this depends on the strength of the illness. The Mayan Fire Ceremony has been practiced for thousands of years; according to the Mayan tradition the first Fire Ceremony was offered by the four B’alaneb’ (semi-god, jaguars) who suggested that every time that we needed to be in contact with god, we could make a Ceremony and he would listen and help us. $10 materials fee, donations welcome. CONTACT SAQ’ BE’ FOR FURTHER INFORMATION AND TO ENSURE A SPOT. This sounds wonderful!!! Will you please tell me the date of the Fire Ceremony? Hi Cathie,the fire ceremony will probably be on either the evening of 7/16 or 7/17, and will primarily be open to those participating in the workshop. We hope to see you in July! I hope it will be the 16th. I will have to fly back to the east coast on the 17th. I’ll be signing up for the workshop very soon. Adam, I am planning to come to NM on July 12th, and returning to the east coast on the 17th. I plan to attend the talk on 7/13; and the Healing and Cholq’ij series 7/14-7/15; and if the fire ceremony is on 7/16 I will go to that as well. I would also like to sign up for one or more consultation sessions. If I want a Divination consult AND a Maya Sign consult, that’s two separate consults, correct? Is there a calendar where I sign up for those? Hi⭐️. Is there space available for tonight and tomorrow ‘s workshop? And fire ceremony?